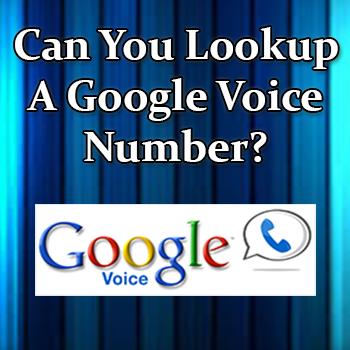 Is there a Google Voice Directory? In short – not really. Google does not maintain an active directory of each person who uses Google Voice, and even if it did have a list of all the phone numbers currently in use, it does not in any way tell you their first or last name, or even address. You will need to do a bit of searching online to find this information, and even then – if the person is using Google Voice and doesn’t want to be found, it will be very difficult to find out who it is. 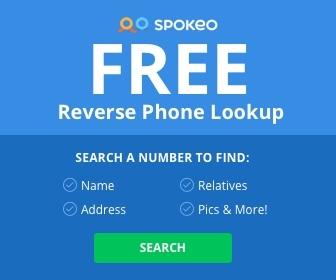 1: Use a service like a phone directory to determine if anyone else out there has also received a call from the same number and has left a comment about who the person might be. We have compiled a review of phone directories here. 2: Use the Facebook Method to see if the person who is using Google Voice has connected the number to a social media profile and made that information public. This is probably your best bet for someone who is living within the United States. 3: If the number is particularly offensive or threatening, you can following Google’s instructions under the “Unwanted or abusive calls from a Voice number to a non-Voice number” section. There is no way to report a Google Voice number directly to Google unless the person calls your own Google Voice account. You can attempt to use a paid service to lookup the number, but it’s likely that they will be unable to lookup any information that you couldn’t lookup yourself, or that can be found in the “Methods” section. If a Google Voice Directory does happen to pop up in the future, we’ll be sure to update this post with more information on how to lookup a number, but until then – we just need to work with the tools we were given!